This stall is in the coffee shop at Lorong Lew Lian, off Upper Serangoon Road and they started in March 2014. 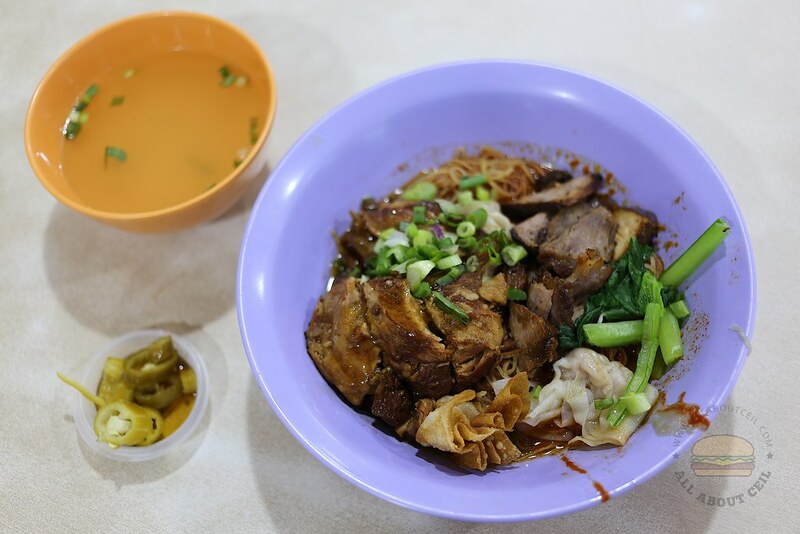 Their menu includes Original Wanton Noodle, Braised Pork Soft Bone Noodle (dry / soup), Braised Pork Soft Bone Rice and also side dishes like Fried Wantons, Wantons in Chilli Vinegar Sauce and Wanton Soup. 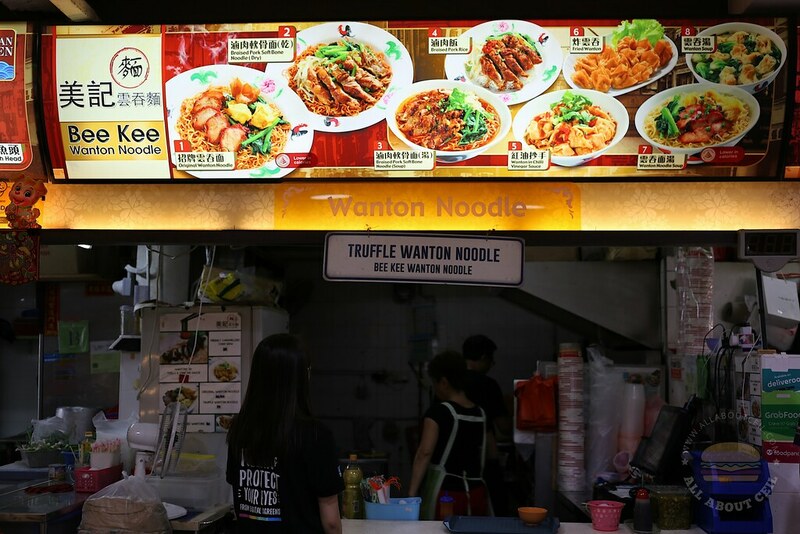 There is a signage indicating "Truffle Wanton Noodle", which is their specialty at $6 per plate. There are 2 other stalls at Amoy Street Food Centre and Market Street Interim Food Centre. The stall was manned by an auntie with a younger man that does the cooking when I was there. 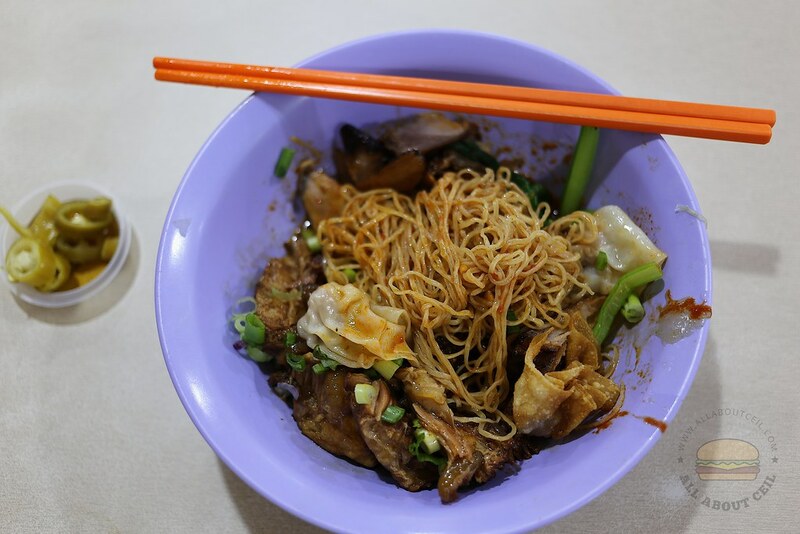 I decided to go with their Original Wanton Noodle and added a portion of the braised pork soft bone for $5.00. When it was ready, I asked, "This one is without truffle oil, right?" The auntie replied, "No. We would not put it in if there is no request." I am never a fan of those truffle fries, the truffle oil actually reminded me of those engine oil which I did not like. I did not dare to go with the truffle oil version as I am afraid I might just leave it unfinished and walk away. And, it seems by adding truffle oil to just anything is a good reason to justify a higher price. The noodles are different, it is slightly thinner than the usual mee kia with a springier texture and is without that alkaline flavor. It did not clump together even after leaving it for a while. The char siew is made using leaner meat so it is slightly drier. The braised pork soft bone was nicely done to the desired texture though not as flavorful as expected to be. I have always thought the traditional flavor is still the best and that is the reason I do not usually go for the fusion dishes. I am an old soul and those are just not for me. They use duck eggs for their noodles.